How to get over a breakup just got a whole lot easier! Breakups are terrible, and they do their own kind of damage on your confidence and self-esteem. 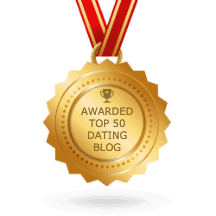 In most of my books, I am trying to help you learn how to attract or keep a man. But today you’re in a different place. Your knee-jerk reaction might be to get right back out there and find another guy. I am going to ask you to hold off for a while – at least until you read this book! I know. Your friends and family are telling you to get back on the horse. They say to forget that jerk and find a new guy. I agree with all of that, but I don’t agree with the timing. Entering into a new relationship would not end well. Before you can get back out there, you need to process the breakup. There are many things going on in your mind and body right now that you need to address. As we are about to discover, both your mind and your body are impacted by a breakup in ways you can’t even imagine. Those effects are causing you to react to things in certain, sometimes counterproductive, ways. I’ll bet you didn’t know that there are scientifically proven physiological responses to a breakup. Not only does your body react to a breakup, but it does so in a big way. Science (Helen Fisher) tells us that your body goes through a legitimate withdrawal process after a breakup. When you are happy and in love, you are producing higher than normal amounts of what we can call happy neurotransmitters: dopamine, oxytocin and serotonin. 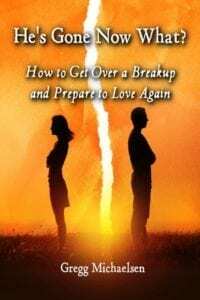 One of the Best Self Help Break Up Books on Amazon! The research I just mentioned, conducted by my friend Helen Fisher, indicates that recovering from this withdrawal is more difficult than withdrawal from a cocaine addiction – those chemicals are that powerful in your body. When you suffer withdrawal from these chemicals, you feel physical pain more intensely. You may seek out activities which boost your dopamine levels, like binge eating, shopping or becoming sexually promiscuous. Without knowing why you’re doing those things, you still may engage in them because they make you feel better, even if temporarily. Instead of binge eating, you could lose your appetite, which could indicate that you’ve slid into a depression. You may also have many restless or sleepless nights. This often happens when you’re fixating on the happy moments of the relationship or the breakup itself. My new best selling book, He’s Gone Now What? is split into three phases. Phase 1 explains to you everything that’s going on in your mind and body and helps you understand the strategies you need to counter these things. Phase 2 takes you through the process of healing from the breakup. You’ll find strategies for proceeding through your pain into a healthier, more independent and ready for a relationship you. I will also give you tips on rebuilding your self-confidence. In Phase 3, of He’s Gone Now What? How to Get Over a Breakup, you’re going to examine some new methods for finding Mr. Right. What you’ve done so far hasn’t worked out so well. We will uncover why that is and learn some new tools which will work for you. The book is called He’s Gone Now What? It’s a #1 best seller and it will help you immensely!